Kimberly Matheson has been crafting songs inspired by the people, places, and events of her life over the past 20 years. Sung with a pure folk-singer’s voice, Kimberly’s songs have a beautiful ring of truth and honesty; and three collections of original songs: “Never Enough” 2011, “Just As I Am” 2014, and the soon to be released “Sweet Spot” 2015, attest to this. Many of her songs reflect the people and the special place that Wolfville represents. She performed at the Deep Roots Music Festival in 2008 and can be seen more regularly performing at local benefits, open mic nights and Wolfville’s “Night Kitchen.” In 2015, she created Ruby Throated Records and produced “Let The Good New Ring, Christmas Songs from the Annapolis Valley,” 14 original songs from some of The Valley’s finest musical talents. 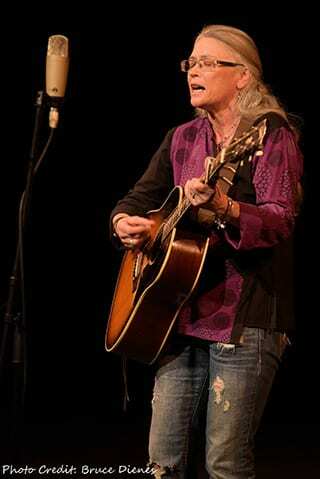 Deep Roots Music welcome Kimberly back to our stages.